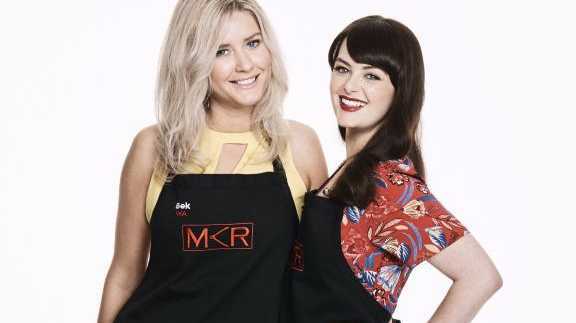 BEST mates Bek and Ash broke a My Kitchen Rules record, just not the one they wanted. Things went from bad to worse for the normally bubbly and upbeat Perth women, who let stress get the better of them in the kitchen. Things started to unravel when they spent too much time shopping for the ingredients for their three-course meal, causing them to lose an hour of their allotted three-hour preparation time. But it was fundamental mistakes in their menu which cost them on the scoreboard. Their entree dish, a vegetable tart, was overpowered by the addition of raw garlic. "Garlic is something that I love eating very much in many ways, but raw in this preparation? 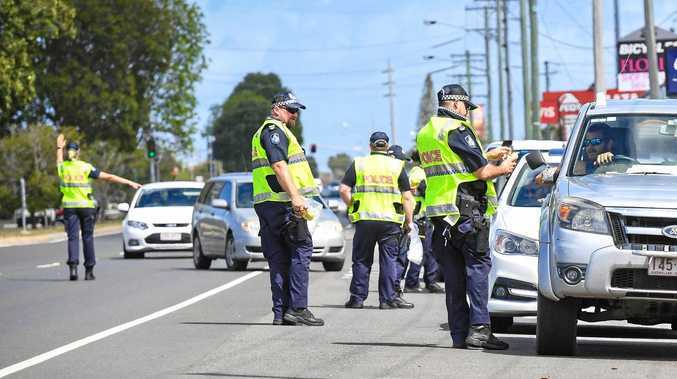 It doesn't belong there whatsoever," judge Manu Feildel said. "It doesn't matter what's on this dish, all you taste is garlic. It's killed your tart big time." Bek and Ash still held out hope of turning things around with their main course. The simple dish featured a salad and a type of local snapper they drove to Fremantle to buy fresh from the fishmonger. But the stress levels continued to build and Ash managed to overcook all of the fish. To make matters worse, they didn't buy enough ingredients for their salad dressing and had to ration out what they had across the 12 plates. "I feel like I've had a trauma and I'm having an out of body experience," Bek said as they prepared to face the critiques of their main course. "Wow, I don't think I've ever had a dish like this in the competition," Pete Evans said. "You girls are intelligent; you are passionate. I don't know what's going on tonight. The fish was overcooked; the salad wasn't dressed." Manu did his best to talk the women out of their downward spiral. "There's nothing complicated here, and you've made it complicated for yourselves," he said. "The more you're going to stress, the harder it's going to be for you. You're in here for a reason; show it to us." It was too late to save the Choux pastry Bek had made earlier for their profiteroles, but the women soldiered on to serve up their final course - a single, soggy profiterole per guest. "For me this is the best dish of the night for sure. I liked it because it wasn't too sweet," Pete said. "I do have to thank you for getting this dish out tonight; it shows you are fighters." Bek and Ash weren't surprised to get scores as low as one from the judges. They now have the unenviable title of earning the lowest ever instant restaurant score in MKR's history. Ouch.